Prepare a detailed written case history describing a recent project with which you were involved. The client must remain anonymous. Legibility is extremely important. Typed is preferred. The length should range from 1,000 words to no more than 3,000 words. In addition to being used as an indication of your knowledge of the business, we hope to receive usable material on those subjects that will be valuable in future APS write-ups and programs. Complete the Certified Productivity Test. 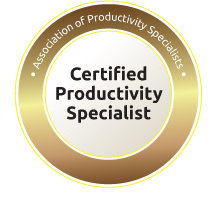 Click the link for the Certified Productivity Test to download the exam in Microsoft Word Format. Complete the exam using Microsoft Word, and upload the file with your application. List higher education that is to be used to satisfy this requirement.